DAMASCUS, Aug. 22, 2014 - A woman poses with a pick-up loaded with weapons in the historic Christian town of Maaloula, north of Damascus, capital of Syria, Aug. 21, 2014. Maaloula is one of the oldest cradles of Christianity in Syria, where intense battles took place between the Syrian army and the rebel groups. 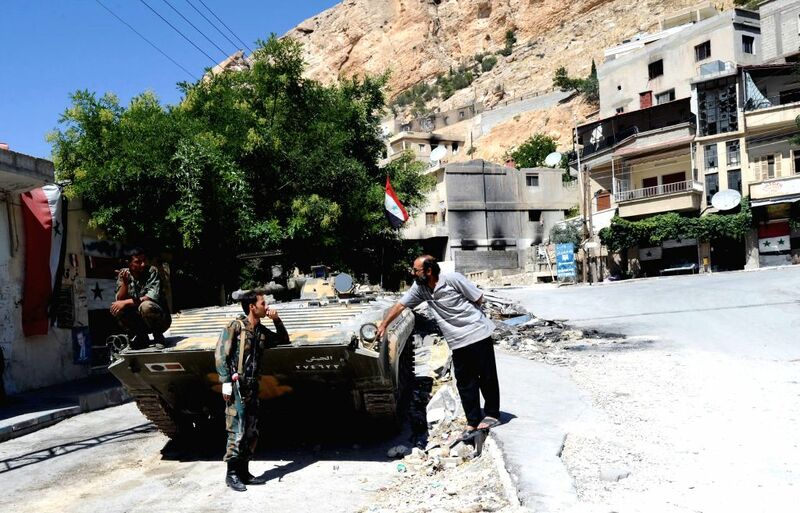 On April 14, 2014, the Syrian government troops retook the control of Maaloula that was stormed by the rebels last year. 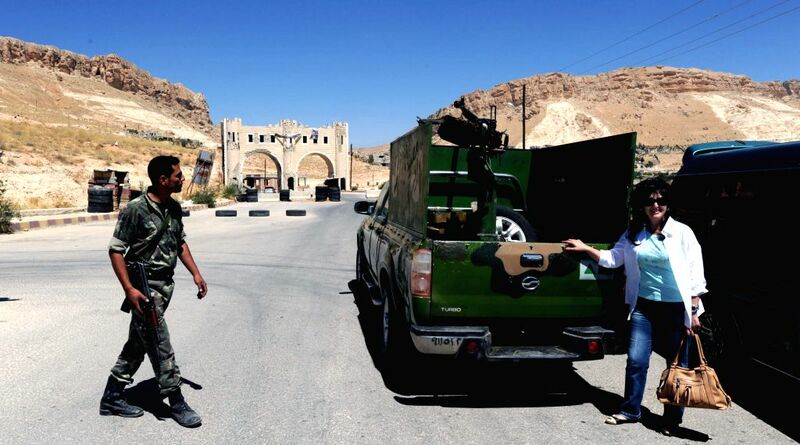 Ever since about 150 Maaloula families have returned home. 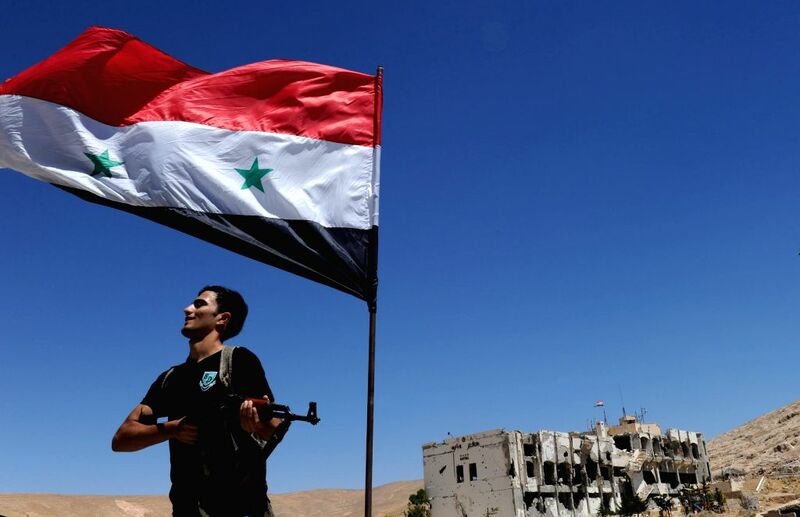 A man poses with a rifle under a Syrian national flag in the historic Christian town of Maaloula, north of Damascus, capital of Syria, Aug. 21, 2014. A soldier patrols in the historic Christian town of Maaloula, north of Damascus, capital of Syria, Aug. 21, 2014.